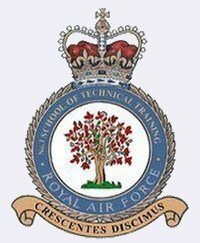 On the 18th of January 1955, 308 hopeful young men arrived at RAF Halton to become Aircraft Apprentices of the 79th Entry. Amongst them were seven representatives of the Royal Ceylon Air Force and three from the Royal Rhodesian Air Force. They were to train in various aircraft engineering and associated trades for the next two years and eleven months. During this period, 171 were lost by re-coursing to a lower entry, discharge or transfer to a lower trade level. 40 had joined the 79th through being re-coursed from senior entries. A total of 177 graduated on the 18th December, 1957, to disperse throughout the world and pursue their careers in the RAF. Today, many years later, there is an active 79th Entry association, with almost 100 members, most of whom are now retired, with some living in far flung corners of the world. 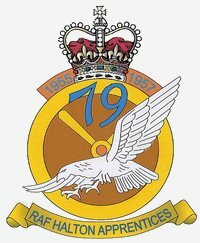 The 79th association comprises of ex RAF Halton Apprentices who were inducted into the Entry in January, 1955, together with other Apprentices who were members of the Entry whilst at Halton, until graduation in December, 1957. 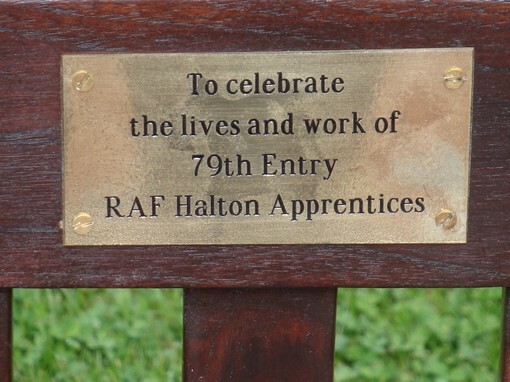 Membership is welcome to all ex 79th Entry Halton Apprentices, whether they graduated with the Entry or not. The objective of the 79th Association, is to maintain links between members of the Entry and to foster a spirit of goodwill, not only between members, but with members of other entry associations. 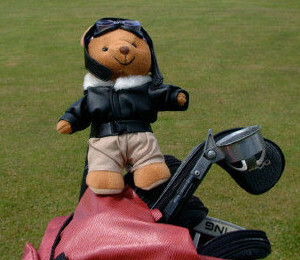 Fred now has his very own web site! Click on Fred to see his story. Recent release of information of the Halton Grove. The plan is to lay a new entrance pathway into the Grove, this will link to a circular 4 foot wide path around the "wheel" hedging. The circular pathway will accommodate engraved Entry pavers. 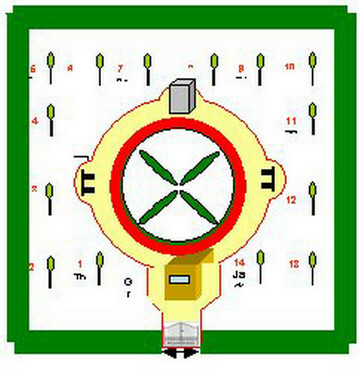 Work on these pathways is scheduled to be completed for April 2012. Gate Design by Gerry Honey, 70th. 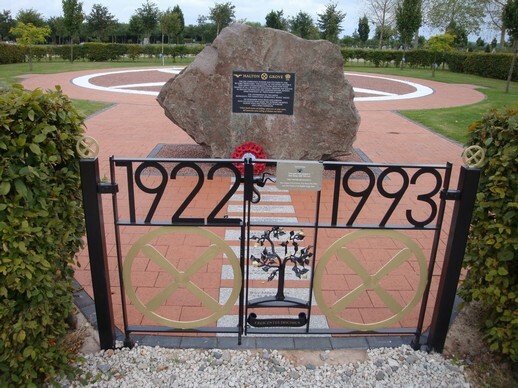 The 79th Entry has contributed to the National Memorial Arboretum, by having a tree planted in the Apprentice Grove at Alrewas, Staffordshire (between Lichfield & Burton on Trent on the A38). There is also a bench dedicated to the deceased members of the 79th shown below. 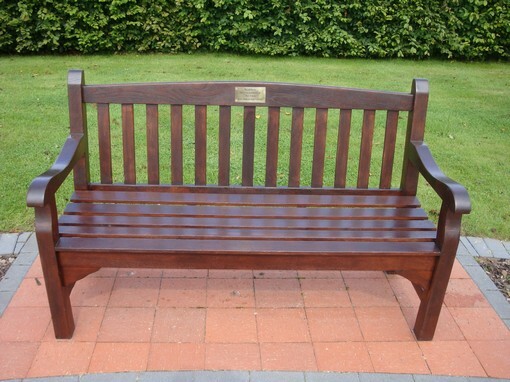 The following picture is of the Arboretum's 79th Entry's Bench.